It's Friday, so hey, have a free short story. Three hundred words, including a nod to one of James Blish's pantropy stories. It was originally published in New Scientist last year, in a science-fiction special section edited by Kim Stanley Robinson. Somewhere inside it, maybe, is the seed for a novel. ﻿It’s December. Midsummer. The sun barely dipping below the horizon at midnight, and like everyone else Rongomaiwhe Namakin has white-nights fever, cat-napping, staying up around the clock. There’s so much to do! A dragon-sized machine is laying freshly made topsoil along the Tuvula river, and Rongomaiwhe and her crew are planting a strip forest of Dahurian larch and dwarf willow. And when they aren’t working, they hike up the river or across wet black rock fields. White mountains float against the pure blue sky. A wild rugged land still mostly untouched. A kingdom of snow and rock and wind. Rongomaiwhe’s great-grandparents were early victims of global warming. When its Pacific islands were swamped by rising sea levels, their nation sold its carbon credits and moved to a refuge in New Zealand, which escaped much of the consequences of violent climate change. A succession of canny leaders preserved tribal unity and invested heavily inecological engineering. Rongomaiwhe’s parents helped to quicken a new ecosystem on Howe Island after shifts in ocean currents increased the average temperature by a full ten degrees. Now Rongomaiwhe is part of a rainbow coalition of the young and willing, taking on the challenge of greening the shores of the thawing Antarctic Peninsula. She knows how lucky she is. More than half the Earth’s population huddle in slums along the new coastlines, permanently unemployed, forcibly sterilised, subsisting on dole yeast. And she is making a new world, and planning to start a family when she and her fiancé marry this winter. That’s why, once a week, she does penance. Plugs into the remote working network, flows into a robot thousands of kilometres away, in one of the most inhospitable places on Earth. Brings the machine online and gets to work, planting a windbreak of tweaked yuccas for what will be an oasis, with the vast, level desert of Kansas stretched all around. 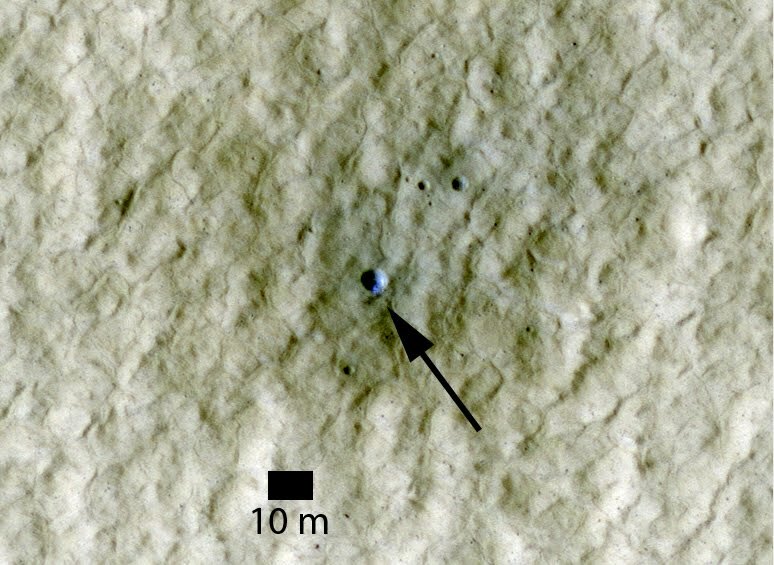 A meteorite hits the ejecta apron of a crater high in the Northern Martian hemisphere and opens a small blue eye of ice. 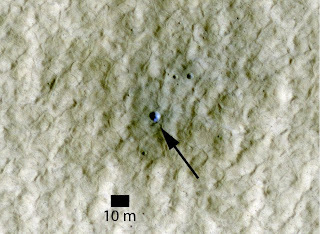 It happened some time between April 2004 and January 2010, the dates when two different robot spacecraft photographed the same spot. I was pleasantly surprised by this small-budget but intellectually ambitious bioshock film. Directed by Vincenzo Natali (Cube), who also co-wrote the script with Antoinette Terry Bryant, it's a variation on the Frankenstein mythos that combines an exploration of a skewed form of parenthood with human reactions to the uncanny valley. The plot, in brief: Elsa Kast (Sarah Polley) and Clive Nicoli (Adrian Brody) are romantically entangled partners who run a bioscience lab owned by a large pharmaceutical company. After creating fairly simple multicellular artificial organisms, they want to step up their research into genetic recombination by using human genes, but the parent company wants them to isolate the genes for a potent protein produced by their organisms. Faced with loss of independence, they go ahead with the experiment anyway, and create a fast-growing neotenous organism that develops from something like a naked kiwi to a female humanoid creature, Dren. As both Elsa and Clive form strong emotional bonds with their strange step-daughter, their company supervisor begins to suspect that they're hiding a secret, and Dren continues to change in unexpected ways . . . Okay, set out as baldly as that, it doesn't seem any different from a couple of dozen things-we-weren't-meant-to-know horror stories. But the basic scaffolding of the plot exfoliates in all kinds of interesting, unexpected, and genuinely unsettling ways, and its ideas are nicely undercut by a knowing humour: this is a serious film that doesn't take itself too seriously. Both Elsa and Clive both have complicated reactions to their creation, oscillating between hubris, fear, and fatal attraction, exposing emotional weakenesses in themselves and their relationship; Elsa in particular has problems coming to terms with her creation, thanks to a childhood crippled by an uncaring mother. Her developing attachment to Dren is creepily ambiguous, and there's some good satire on the problems of parenthood as Dren races through all the stages of childhood and adolescence to a seriously problematic maturity. The science behind Dren's creation contains a fair measure of handwavium, but Elsa and Clive are portrayed as scientists driven by ambition and inquisitiveness rather than haphazard craziness, and their lab has a cluttered authenticity. It's nice to see researchers using mini-centrifuges, Eppendorf pipettes, and gel electrophoresis rather than simply peering down microscopes: someone has obviously done a bit of homework. I liked the alarmingly temperamental plumbing of the artificial womb, too. Best of all is the design of Dren. Played at maturity by Delphine Chaneac with an eerie physicality that complements Greg Nicotero's and Howard Bergera's seamless mix of makeup, prostheses and digital manipulation, she's a genuinely weird and beautiful chimera, and some of the best scenes in the film explore her volatile mix of fear, vulnerability, frustration and outbursts of wild exuberance. So, while the story may be familiar, Natali's angle of attack is refreshingly different, his low-key direction mostly eschews sensationalism yet delivers some nice shocks, and the intelligent script is complemented by some fine acting. And although the last act devolves towards creature-feature frights and alarms, it's just about redeemed by a final scene that has a chillingly spare ambiguity. Like Dren, it's a hybrid whose beauty is more than the sum of its parts.